We have been working with the most skilled and accredited pool contractors in the Valley for over 20 years. Simple details like waterline tile selection and unique coping materials often go overlooked. You don’t have to settle for the “standard pallette” for these items anymore. 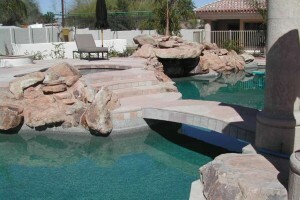 Coconut Contracting will help you enhance the overall look of your pool and bring your oasis to life. Coconut Contracting is licensed, bonded and insured.